Cannabis concentrates, commonly referred to as cannabis extracts, are significantly more potent than your standard cannabis buds. Their applications as medicine have proven to be effective for patients suffering from all sorts of ailments. When made properly, a cannabis concentrate is reminiscent of the cannabis strain it was extracted from; the smell, taste, and effects are simply magnified due to a larger concentration by weight. The extraction of cannabis concentrates is a complex and potentially dangerous process and should only be performed by trained professionals. This page describes the most widely used extraction methods and discusses the advantages of each. Kief is the simplest of concentrates. 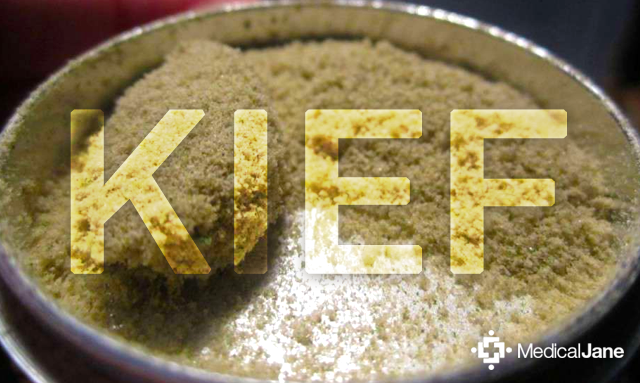 Kief is composed of the trichomes (the crystalline structures coating the outside surface of the flowers) broken away from the dried plant material, usually via specialized filtering screens and a little elbow grease. 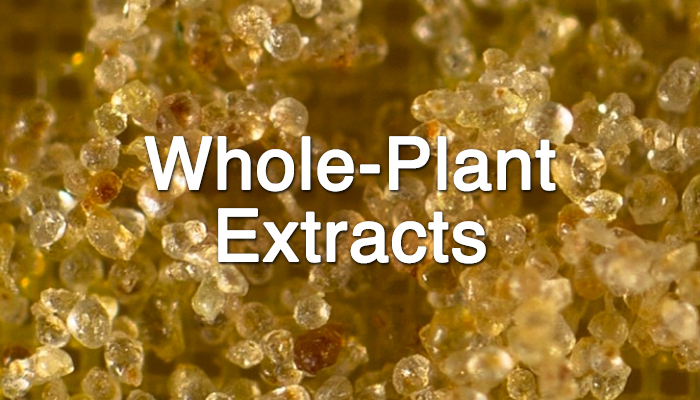 Kief is generally considered a lower-quality extract, but some top-flight extractors can produce an extremely clean and flavorful product using the dry sieve method. THC content can range from 20 percent to 60 percent. A popular form of non-solvent hash is dry sieve (sometimes referred to as “dry sift”). Put simply, dry sieve is a refined version of kief that has been run through a series of screens so that only the trichome heads remain. Thanks in large part to the simplicity of the process, dry sieve is among the easiest ways to produce hash. After all, all that you need to produce quality dry sieve hash is a few good screens to filter out the plant matter, good starting material, and a little bit of time. The level of quality is often determined by amount of plant matter and capitulate trichome stalks found in the final product. This process at its highest level yields nothing but the largest, most perfect trichome gland heads and none of the gland stems, plant matter, etc. that generally clouds the quicker, lower-quality kief extractions. The most pure dry sieve hash should melt completely when exposed to heat, known as full-melt dry sieve hash. Hash made from the cannabis plant has been around for centuries, and there are plenty of processes in which hash can be made. Ice water extraction is one of the most common processes used to create quality non-solvent hash. The main goal and fundamental idea behind the ice water extraction process is to isolate the trichome heads, which house the essential oils of cannabis, from the stalks and plant matter that carry little-to-no medicinal value. The quality of the resulting hash is often determined by the size of the isolated trichome heads and the extent to which it melts when heated (full-melt being the best). The most important part of the ice water extraction process is drying the final product. If not properly dried, the hash can develop mold and other forms of microbiological life that could potentially be harmful to your body. The powdery kief that coats your cannabis flowers can be collected and pressed together to form hash. Additionally solvents like ice water or ethanol may be used to more effectively strip the cannabis plant of its cannabinoid-loaded trichomes. Though not as potent as BHO and other cannabis concentrates, hash remains a staple of cannabis culture around the world for its clean, all-natural extraction process. Butane Hash Oil, commonly referred to as BHO, is a type of cannabis concentrate made using butane as the main solvent. While a number of variables can determine the final consistency of BHO (mostly temperature), people use different names when referring to each of the different consistencies. Shatter for instance, refers to the glass-like consistency that often snaps or “shatters” when handled. Budder, honeycomb, crumble, and sap are also used to describe the different textures, though they all fall under the category of BHO. 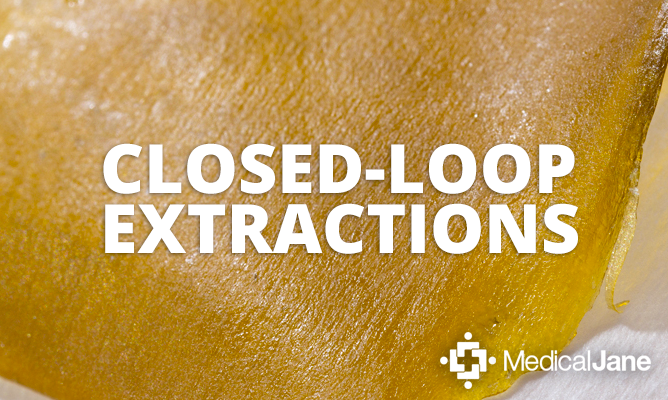 Under this form of extraction, THC content can be as high as 80-90%. This makes BHO a popular choice for many medical marijuana patients suffering from chronic pain, sleep disorders, and other intractable symptoms. Always be sure that your oil is lab tested for purity, as improperly purged BHO may contain traces of butane, pesticides, or other unhealthy ingredients/contaminants. Carbon dioxide (CO2) is a supercritical fluid, meaning it converts into a liquid form when pressurized. At the same time, CO2 is a pure chemical substance that occurs naturally and leaves behind no residues. In fact, supercritical CO2 extraction is already a standard extraction method for the food, dry cleaning and herbal supplement industries. It is a common food additive as well. The CO2 extraction process allows compounds to be extracted with low toxicity; it utilizes a high pressure vessel containing cannabis. Supercritical CO2 is inserted into the vessel and pumped through a filter where it is separated from the plant matter once the pressure is released. Next, the supercritical CO2 evaporates and is dissolved into the cannabinoids. Also known as cannabis oil, hemp oil, Phoenix Tears, and Rick Simpson Oil (RSO), whole-plant cannabis oil can be orally administered or applied directly to the skin. Sublingual delivery is the preferred method of treatment for many cancer patients. Not only is it a convenient way to medicate, but intake through the oral mucosal membranes in your mouth provides for rapid and effective absorption directly into your systemic circulation because of the increased bioavailability of the cannabinoids. Note: Whole-plant cannabis oil is not the same as “hemp seed oil.” Hemp seed oil is a cold-pressed oil made from the seeds of the hemp plant. It is rich with essential fatty oils and is used mostly for its nutritional benefits. You can easily buy it in health food stores. It often gets mislabeled as “hemp oil,” but it is not. True whole-plant oil derived from the cannabis plant, on the other hand, is made from the buds/flower of the female marijuana plant and is comprised of many different cannabinoids including THC, CBD, CBN, and more — in addition to terpenes and other compounds. Many other businesses now sell their own renditions of Rick Simpson Oil, some of which are high in THC while others contain only non-psychoactive compounds like CBD. Be sure to do your research before making/buying any RSO products. Rosin has been gaining a lot of traction in the medical cannabis community as of lately and for good reason. Rosin is a solid form of resin that is obtained by adding pressure & heat to vaporize volatile liquid terpenes, typically with an industrial heat press (or even a hair straightener for small batches). The rosin technique is quick, simple and affordable, allowing anyone to create quality solventless hash in a matter of seconds. To get started making Rosin, you only need a few basic tools in order to create a quality finished product, but not nearly as many as you need with other extraction techniques. What is the best temperature for making rosin? What is Holy Water BHO? Can I make rosin with my own weed? Is dabbing cannabis concentrates safe? What does cannabis oil taste like? Where can I buy Rick Simpson Oil (RSO)? How is Rick Simpson Oil (RSO) different than CBD oil? How do you make Rick Simpson Oil (RSO)? As we know, recent years have brought about an increased interest in dabbing and cannabis concentrates. The benefits of cannabis extracts have been well-documented for a number of ailments and essential oil vaporizers are well on their way to becoming a must-have accessory for medical marijuana patients and the adult-use market alike. Of course, much of the increased interest in cannabis concentrates stems from two obvious benefits: purity and potency.